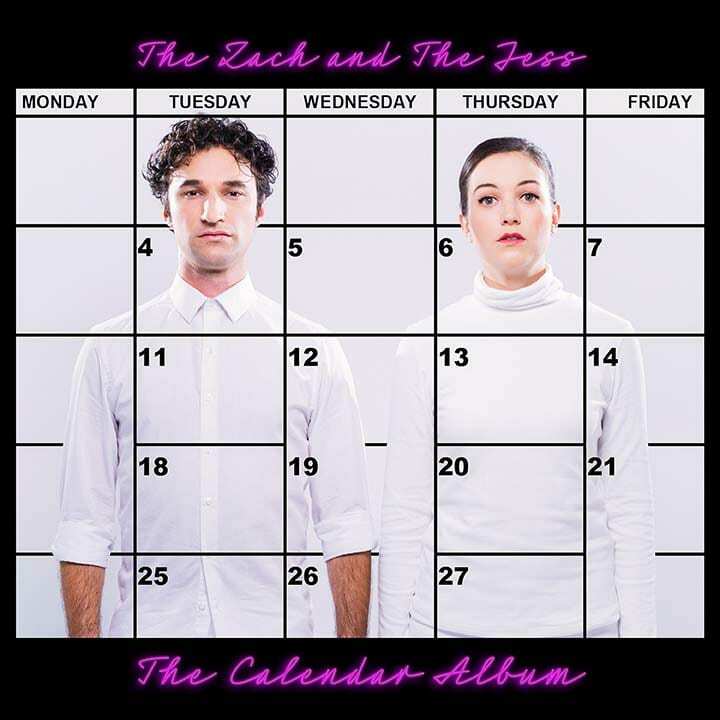 The Zach and The Jess are thrilled to release their debut musical comedy album The Calendar Album. It’s a collection of original comedy songs that Zach Reino and Jessica Mckenna have written together. Some of the songs are new, some are hundreds of years old, and all of them are very very stupid (in the best way.) It features some wonderful guest comedians, and also a robot, a ghost, a demon, some children, and a narwhal. This album is a celebration of an entire year, so the correct way to listen to it is 1.5 songs per month.